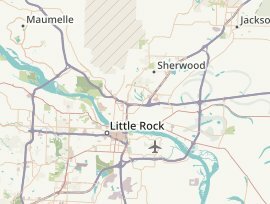 There are currently 30 branches of 11 different banks in North Little Rock, AR. U.S. Bank has the most branches in North Little Rock. The top 5 banks in North Little Rock by branch count are; U.S. Bank with 5 offices, Arvest Bank with 4 offices, Centennial Bank with 4 offices, Simmons Bank with 3 offices and First Security Bank with 3 offices. Below, you can find the list of all North Little Rock branches. Click on the list or map below to view location hours, phone numbers, driving directions, customer reviews and available banking services.